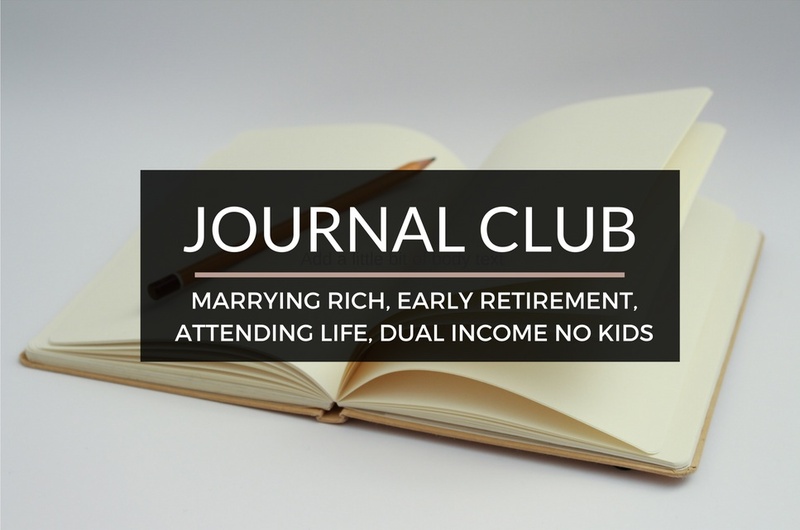 Journal Club 10-8-16 | Passive Income M.D. I’m relatively new to this wild world of blogging and it really does feel like being a kid in a candy store. I can barely get to all the content I want to read. I find one amazing article which gets my head spinning then I find another and another. To save you time, I’ve highlighted a few that have made an impact on me this week. I get to highlight two of my favorite physician financial bloggers in one article! Dr. Wise Money, a radiology resident, recently started this great series where she interviews a high profile financial blogger and ask them to share some of their best tips in one quick read. Get to know the entertaining and financially savvy Physician on FIRE in PoF, the #1 Champion for Physicians Seeking F.I.R.E. Here’s another opportunity to highlight two awesome bloggers in one post. (I’m seeing a theme here.) Here is a guest post by Reverse the Crush on the blog by Apathy Ends. We put so much time, energy, and effort into getting here so most physicians are going to find it hard to just quit their days jobs. However the principles discussed here are something we can all learn from, namely – don’t forget to take risks and figure out what we’re actually living for. Check it out in Why I Made The Life Altering Decision To Quit The 9-to-5. Any article merging relationships, money, and happiness will win my attention. I’ve heard both men and women joke about marrying rich, and it’s fun to see Financial Samurai break it down into the pros and cons in Marrying Your Equal is Better Than Marrying Rich. Here’s another article about relationships and money, this time addressing relationships where there are no kids involved. This ship has sailed for me but it’s a fun experiment to see how that might impact your finances and timeline for early retirement? Read about this in Senior Resident’s post on Dual Income No Kids (DINK). I’m always interested in seeing how physicians transition in life from training to the big shot attending life. I’m curious to hear how they handle their newfound responsibilities, their finances, and if they’re actually happier. I’ve been following this internal medicine doctor, Investing Doc, who seems to run into one interesting life event after another. He shares about his transition in A Look Back At My First Few Months as an Attending.